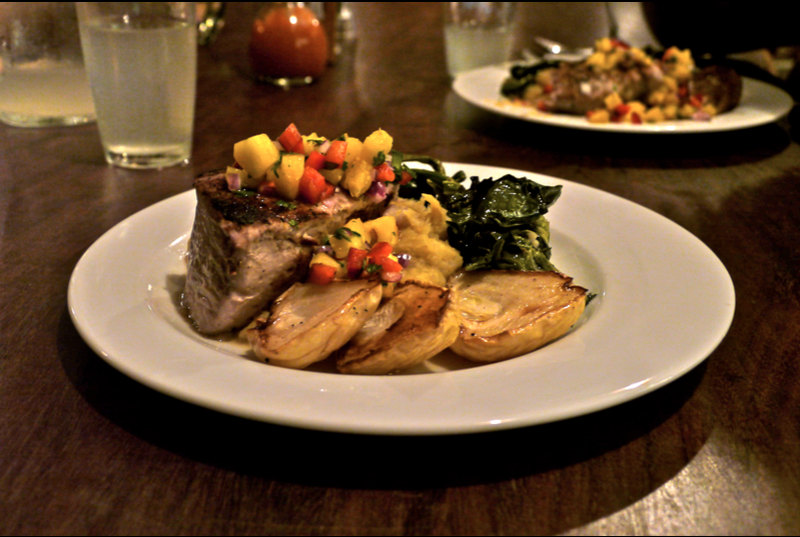 A New Take on Costa Rican Cuisine adds Socialweb Presence for La Cusinga. La Cusinga’s Chef David has returned from a trip to Panama, and that means that dinner at La Cusinga has become even more delicious. But that’s not the reason why David Mahler will feature more prominently on Ideas will travel next week. The true reason is that he is an important part of the lodges web presence. In his blog “Chef of the Jungle” he writes about his general philosophy of cooking, and also shares the ups and downs of a gringo’s life in Costa Rica. Maybe less literary, but more frequent are his activities on Facebook, where he posts this evening’s dish and a photo of the sunset taken from La Cusinga. In case you want to take a look at his Facebook page: there is more than one David Mahler, but only one lists La Cusinga as an employer. Sharing pictures of food is always a nice idea, and just to make everyone just a little bit jealous, here is a picture of Thursday’s dinner. It’s roasted yellowfin tuna with pineapple salsa puree of camote (local white yam) and (if I remember correctly what he said) chayote or perulero squash. Because you won’t find any soda-cans or platic bottles at La Cusinga, each dinner is accompanied by either fresh water or some homemade fruit juice. In this case: carambole/starfruit. As we’re talking eco-tourism, David’s dishes are also all-organic, and as local as can be. If you’re interested in the details, hang on. I’ll be joining David next week for some food shopping. Until then, you’ll find me on La Cusinga’s community deck, counting the hours ’til dinner time. PS: If there are enough requests, I will try and talk him into sharing some recipes.